Significant Upgrade To Our Dental Website! The Dental Team at Dr. Peter Castellana is pleased to announce significant upgrade to our dental website! City, Date – Designed to make life easier for its members and clients, the Dental Team at Dr. Peter Castellana is pleased to announce significant upgrades to their official website. According to Dr. Peter Castellana, the best dental care goes beyond the treatments provided within their office. Professional dental care extends to all facets of the practice – including their website. In order to enhance the patient’s overall experience, Dr. Castellana and his team have decided to upgrade their practice website in keeping with the latest trends in the web design industry. They have included a responsive web design to channel patients who are searching for their practice via mobile devices. The goal of the upgrade was to modernize the website so that it better reflects the state-of-the-art care provided by Dr. Peter Castellana and his team of dental practitioners. When the patient first enters the site, he or she will be greeted by a sophisticated and clutter-free design with easy navigational features. The dental services provided by the clinic are highlighted on the website. The patient becomes clear on what type of treatment is available immediately upon visiting the website. The patient can locate specific treatment details that they seek with ease thanks to the latest upgrade to the dental website. The visitor is able to educate himself or herself on virtually any dental treatment that he or she might want. 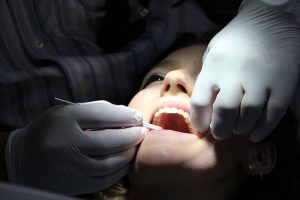 The newly added blog will educate the patient on a wide variety of dental problems and the relevant treatments for them. The website offers detailed information about the different dental treatments provided by the clinic. They offer a wide range of cosmetic treatments such as teeth whitening, root canal method, dental implants, and a host of other methods. Peter Castellana Dental Service knows how important your teeth are to you. Poor dental care can result in a number of dental issues in the long run. The latest research shows the connection between poor oral hygiene and heart conditions. That is where proper dental care becomes so important. Peter Castellana Dental Service provides high-quality dental care at affordable prices to all their clients in the area. They hope to reach more deserving clients in the region with the latest upgrade to their dental website. Dr. Peter Castellana and his team of dental practitioners are devoted to enhance and restore the proper functioning and natural beauty of your smile. They use state-of-the-art and conservative dental procedures to improve your smile within a short period of time. The clinic plans to provide a =one-stop shop for all your oral healthcare needs. They help the patient with dental hygiene, preventive care, dental fillings, dental implants, dental braces, dental laminates, dental crowns, and a host of other cosmetic treatments to make you look and feel better. You can find out more information about Dr. Peter Castellana Dental Services at https://www.drpetercastellana.com.